Only days after a poster and release date were shared for the film, we now have our first look at John Wick: Chapter 3 – Parabellum. 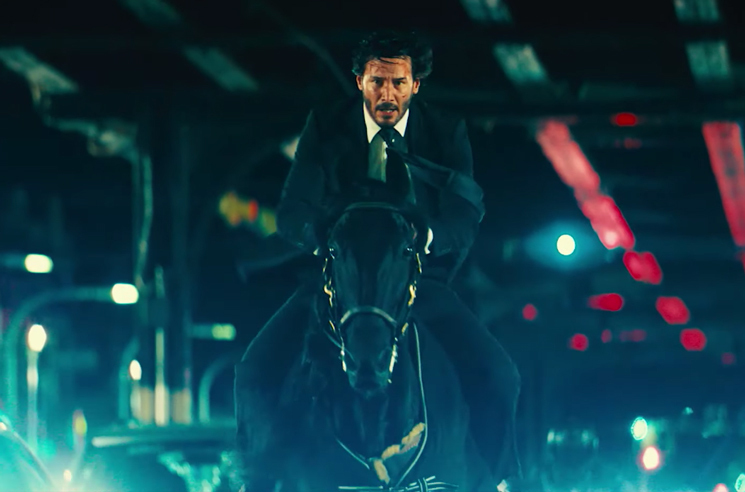 The first trailer for the Chad Stahelski-helmed film is action-packed, showing star Keanu Reeves fighting hordes of enemies looking to collect the $14 million bounty on his head. You can take it all in below. John Wick: Chapter 3 – Parabellum also stars Halle Berry, Laurence Fishburne, Mark Dacascos, Asia Kate Dillon, Lance Reddick, Saïd Taghmaoui, Jerome Flynn, Jason Mantzoukas, Tobias Segal, Boban Marjanovic, with Anjelica Huston, and Ian McShane. The film arrives in theatres May 17.